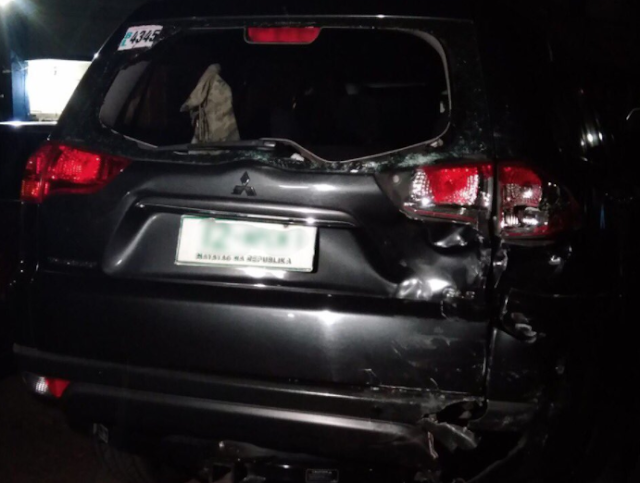 They were out of EDSA when they stopped at the stoplight opposite the Philippine Heart Center and were suddenly hit by the white Nissan Urvan. 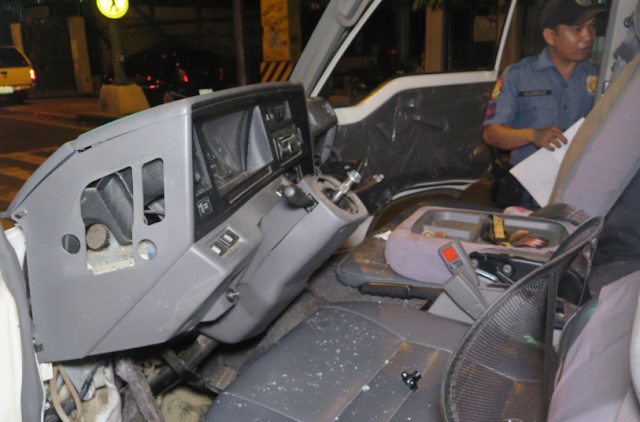 According to Miriam Bondoc, they were returning to Makati when his driver, Peter Sevilla, falls asleep while driving. 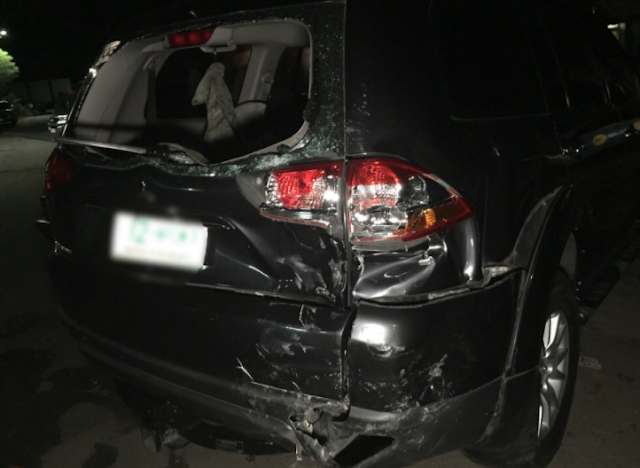 In the intensity of the collision, the bumper and mirror behind the SUV of Magdangal were destroyed. 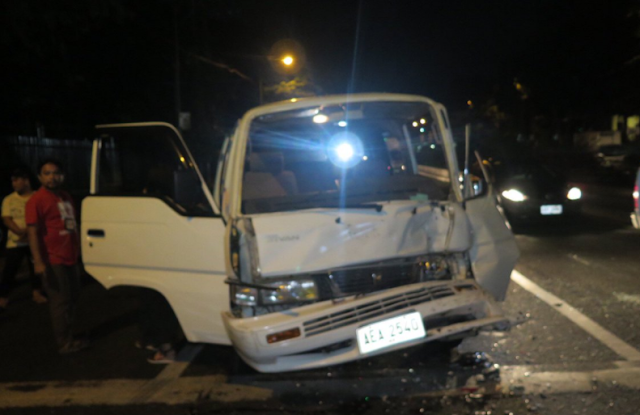 The front of the van was damaged and the windshield was removed. 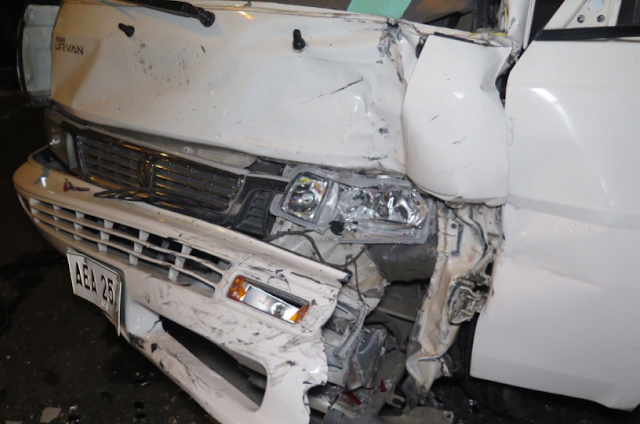 The van driver, Sevilla, was injured after being hit. 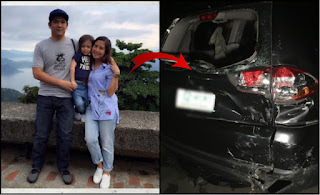 His five passengers are safe, including a baby. 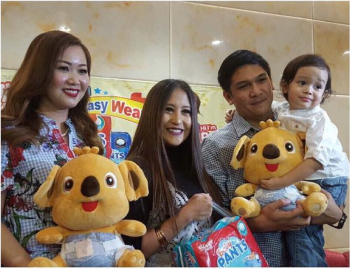 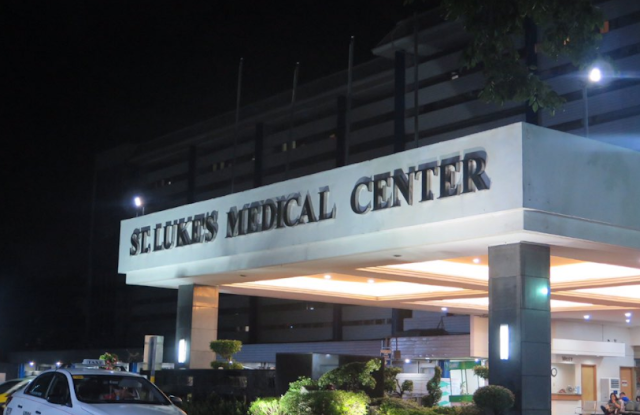 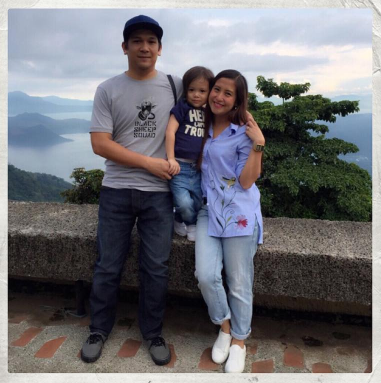 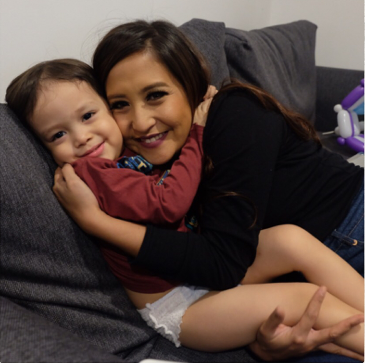 Jolina and Escueta was brought to St Lukes Medical. 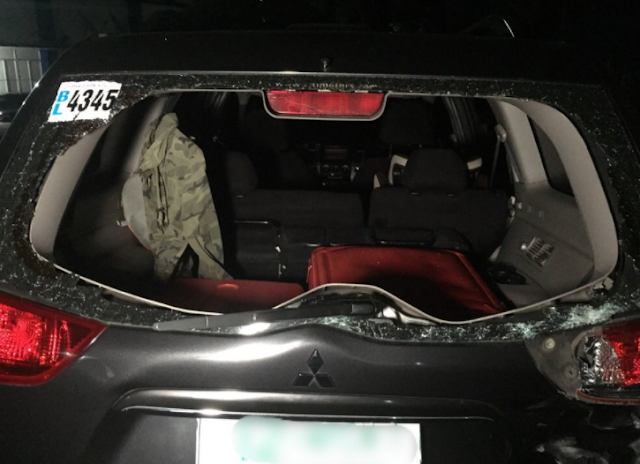 They were in a safe condition now.